Following the breakfast, we will head to the Capitol to meet with legislators and their staff to ask for their support on key bills that relate to the fire and emergency services. At 10:00am, the Fallen Firefighter Memorial Service will be held to honor those that have lost their lives protecting our great state as well as the unveiling of the new memorial expansion. 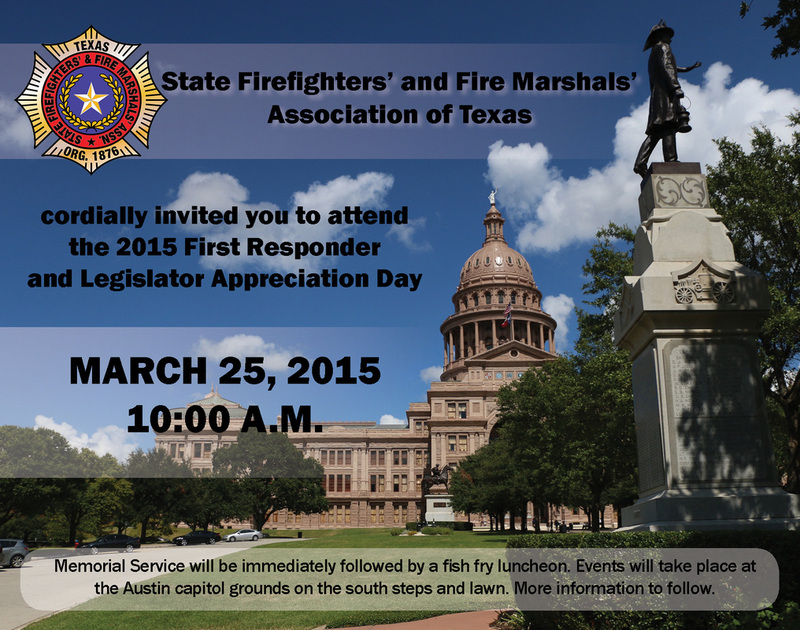 After the Memorial Service, a complimentary fish fry luncheon will be served on the Capitol grounds. More time will then be available to again visit with legislators. For more information on the day’s events, contact Chris Barron at cbarron@sffma.org or (512) 454-3473.